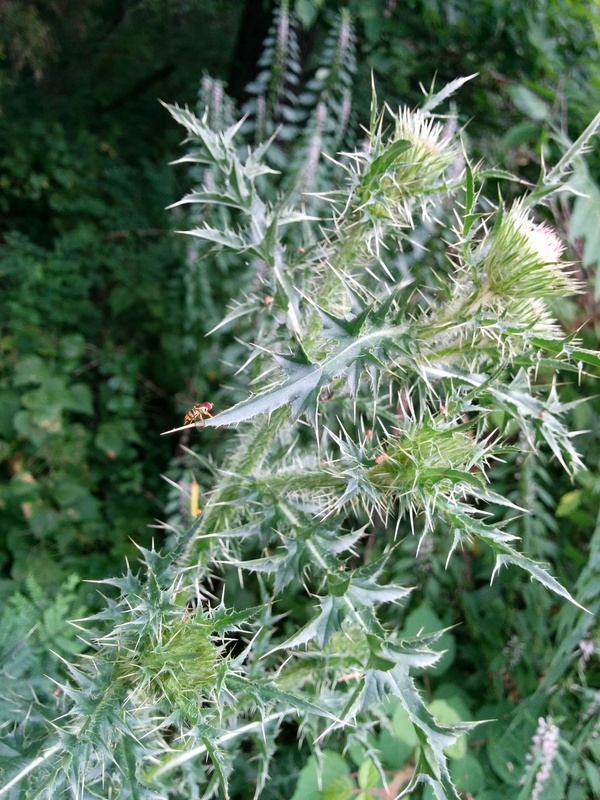 Last week I noticed this plant with a tall stock growing in the shady areas of the farm. The very numerous and tiny flowers that were developing made me think of the potential nectar sources for bees. 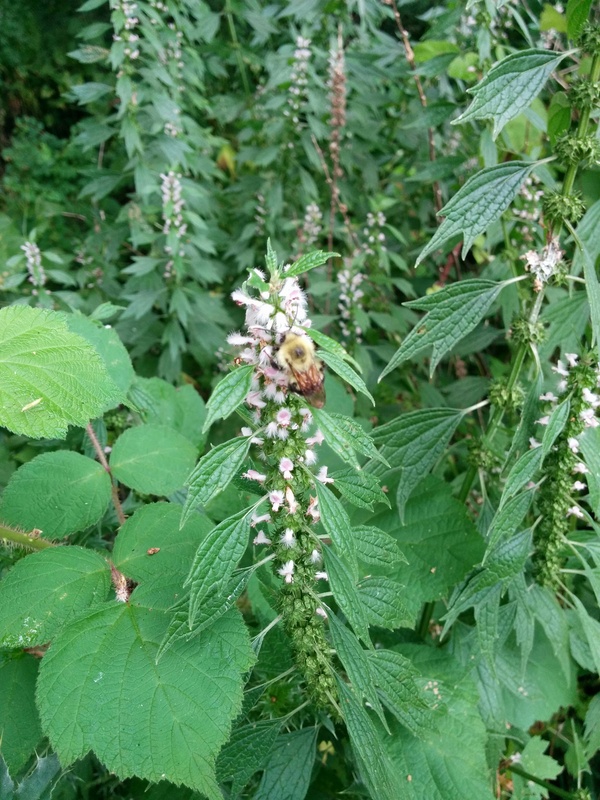 Thus I posted on a plant ID forum and almost immediately had the genus and species: Leonurus cardiac, commonly known as motherwort. 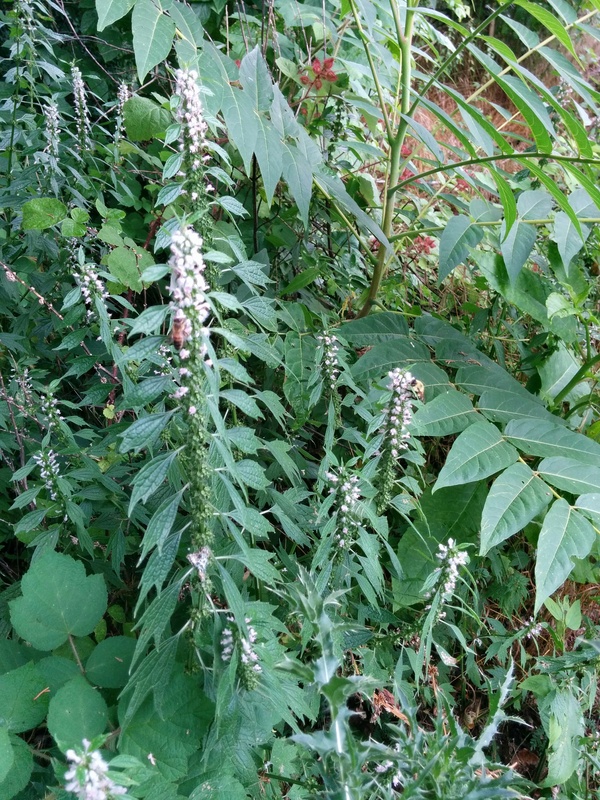 Currently, these stands of motherwort are crawling with bees, wasps, butterflies and some strange bugs I’ve never seen that look like a cross between wasps and mosquitos. And these bugs are can be found everywhere that has drawn in the pollinators. Anyone know what it is?